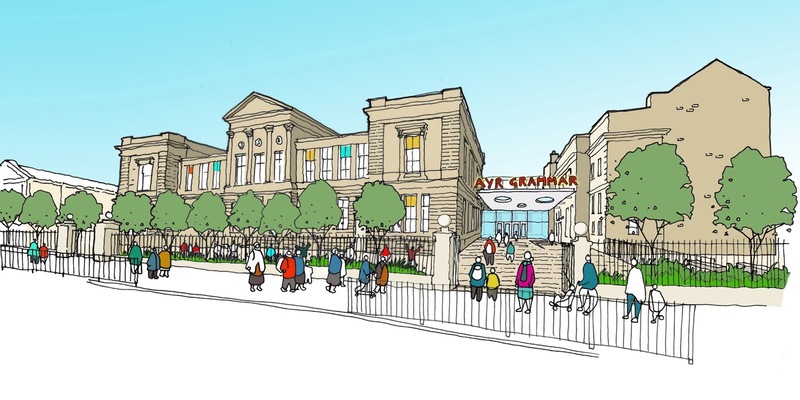 Proposals to breathe new life into the old Ayr Academy are being put to the public. An exhibition is being held at Ayr Town Hall on Thursday 19 April to highlight plans to relocate Ayr Grammar to a new home on Fort Street. Councillor Peter Henderson, Portfolio Holder for Resources and Performance said the project was now at an important stage, “We want South Ayrshire to be the best it can be and for all people and places to have the opportunity to reach their full potential, and our schools programme plays an important role in that wider work. “The plans to breathe new life into this landmark building would leave a lasting legacy for generations of families, and with the proposals submitted for consideration, now is the time for the public to get involved. 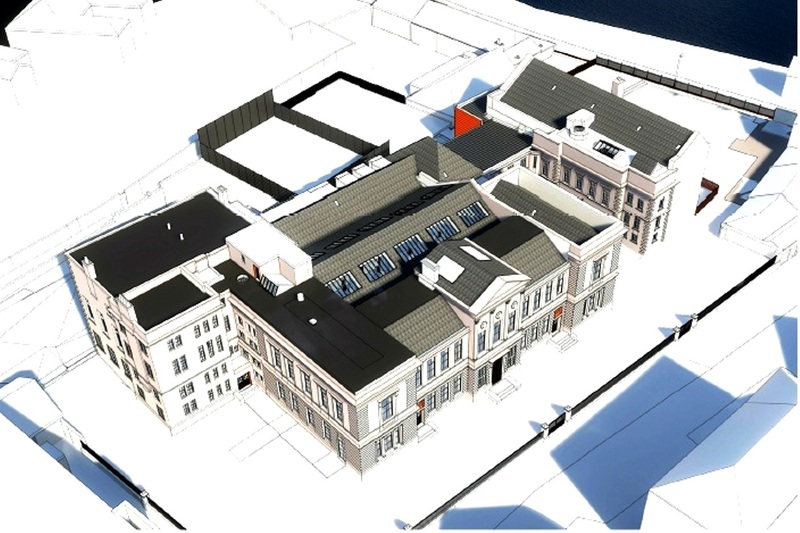 The Archive and Registration Centre will be a separate building (illustrated above) with its entrance on South Harbour Street, providing public access to archive material as well as registration services. 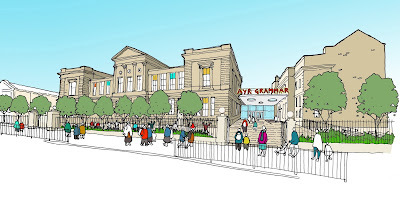 The public exhibition, including images and drawings of the new buildings, takes place at Ayr Town Hall on Thursday 19 April between 2:00pm and 8:00pm to give an opportunity to view the proposals, ask questions and provide feedback.